As far as high performing men’s watches go, the G Shock by Casio watch range will undoubtedly impress with its collection of chronograph watches and alarm watches suitable for everyday life. From digital watch faces to watches with luminous hands and dials, there’s something for everyone. Built to last, each watch is shock resistant with a variety of convenient additional features such as in-built digital compass, world time function, timer, stopwatch and automatic calendar functions. Excellent all-round watches for men, choose your preferred design with hints of colour or classic all black or white for a statement finish. 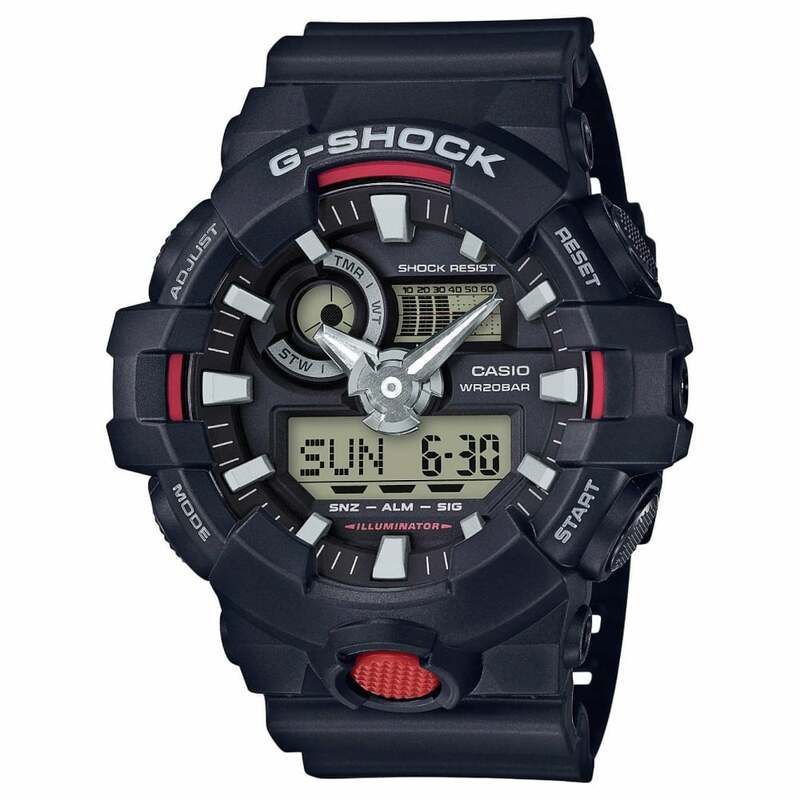 For those who want something more from their daily watch, choose a G-Watch from Casio. Hillier Jewellers stocks a fantastic selection of men’s watches that will suit all individual tastes and work well for all occasions. If you’re searching for the perfect designer watch, look no further than our ranges of watches from the likes of Hugo Boss, Citizen and Seiko for high quality timepieces that offer optimum style as well as practicality.